THREE prisoner-of-war camps on Garelochside were an important feature of life in Helensburgh and Garelochside during World War Two. Camp no.582 was at Blairvadach, more or less on the site of the existing outdoor centre but south of the existing road — although it was north of the original shore road. Not far away was another camp at Stuckenduff, and there was a third at Whistlefield. Garelochhead resident Mrs Fiona Hamilton remembers the Blairvadach camp well, and confirms that it was classed as a work camp for the German servicemen. She says: “The prisoners were sent out to farms, gardens and various other work places as there was a shortage of workers as the men had been recruited into our own services. "I knew this camp well, as my father was gardener at the Eda Yarrow Home just along the road. “Stuckenduff camp, now the site of a large housing estate, on the other hand was made up of professional class prisoners, mainly former businessmen — one was, I believe, the editor of a leading Berlin newspaper. “They worshipped regularly with us at Shandon Church, and at Christmas in the years they were at the camp they made beautiful toys of all descriptions for our Sunday School childrens parties. They also took on the role of Father Christmas, and helped to entertain the children. “They had a wonderful choir which sang in Shandon and various churches in Helensburgh where concerts were held for funds for the various war effort appeals. To hear 'Silent Night' sung in German was a very emotional experience. Mrs Hamilton says that there were other work camps, one at the top of Glen Fruin at the Garelochhead end, and another at Whistlefield. When the Blairvadach prisoners were eventually repatriated to Germany that camp then housed Italian POWs until the end of the war in the Far East. 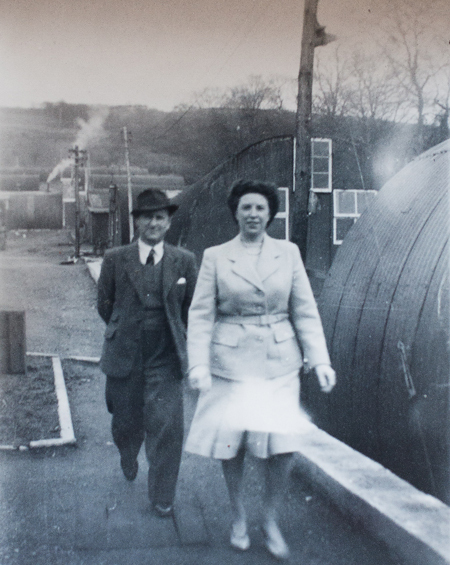 “They, however, were not allowed out of camp, although some of the Italian business families were allowed to visit them at the fences,” she recalls. The 40 Blairvadach Nissen huts then became temporary accommodation while new housing was built in Rhu, Garelochhead and Cardross. Shandon resident Mrs Elinor Grummitt has vivid memories of the Stuckenduff camp, some similar to Mrs Hamilton's. As a child she lived on the estate of Shandon House where she was born. “My mother used to take me to Stuckenduff Farm to buy eggs, and we had to pass the camp,” she says. “I always felt a bit apprehensive at the sight of the German POWs in their brown trousers and tunics with the letters POW on the back — but on reflection they probably did not pose any threat to local people. “In fact they seemed to become part of the community, as I remember one Christmas in particular when they were escorted along to Shandon Church for the Christmas service. When 'Silent Night' was sung, one POW I could see had tears running down his cheeks. And I am sure he wasn't the only one. “They also made a wonderful gesture, to the delight of the children of Shandon Sunday School, by presenting to us at our Christmas party toys which they had made from driftwood collected from the beach. Each boy received a wooden hobby horse, and each girl a doll's rocking cradle. Joy Farrow, who lives in Ashton Drive, Colgrain, has her own special memory of receiving a gift — a model boat in a bottle — from a German prisoner of war, and she has it to this day and still treasures it. Her late parents, Hector and Muriel MacDonald, lived at Bloomfield Cottage in Garelochhead, and one day towards the end of the war the then seven year-old Joy MacDonald was sent out to buy stamps from the Post Office. “It was a bottle, and the side of the bottle I was looking at seemed to be smoky — I thought I had been given a bomb! The gift was not inappropriate, as Joy’s father Hector was a boatbuilder to trade who served his time at McGruers at Clynder and worked for a number of years for Shipbreaking Industries at Faslane. “He even worked for a time on retrieving metal from scuttled German ships at Scapa Flow,” she said. Joy remembers weekly Saturday or Sunday afternoon walks from the cottage, either south to Faslane Cemetery, or north to the Whistlefield camp. Local people would pass packets of cigarettes to the prisoners, and Joy was once given a woven basket in return. Her mother, Muriel, was from Cheshire, and after the war became a highly respected and long-serving member of the then Helensburgh District Council, which met in the District Council offices in West King Street. Joy married a navyman and lived for some years in Portsmouth before returning and setting up home in Helensburgh. The Whistlefield camp, situated roughly where the viewpoint now stands, is recalled by Stella Irving from Portincaple. She says: “My father became friendly with several of the men, and they were frequent visitors to our home at Portincaple. I was very young at the time, but can remember being very fond of them, especially when one Christmas they gave me a dolls house which they had made for me at the camp. “It was beautiful, and they had made all the furniture as well. The suite was made from match boxes and covered in blue velvet. One of the men had been an artist in Germany, and he did miniature paintings for the house. Sadly I no longer have it, but how I wish it had been kept. Stella's parents corresponded with their German friends for a long time after they went home, and she and her mother went to stay with two of them and their families in 1949. 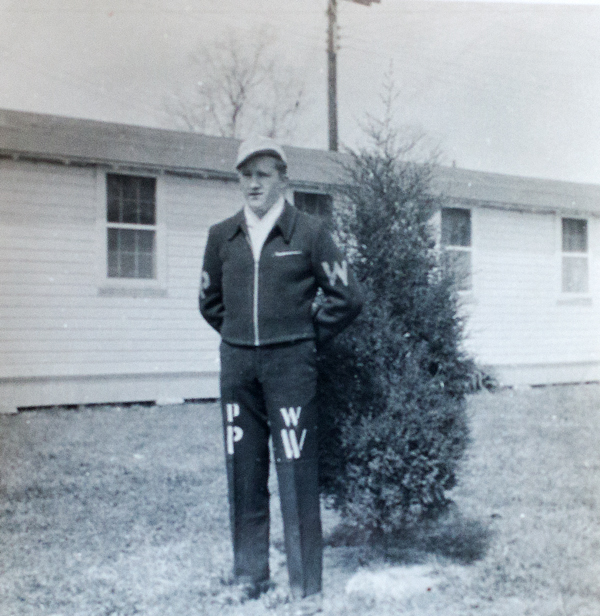 Many of the POWs stayed on after the war, believed to be around 25,000. One POW who was at the Whistlefield camp and worked on preparation for and construction of the Loch Sloy hydro-electric dam, married a local girl and set up home in Dumbarton. His name was Fleischer, and that has been confirmed by Helensburgh man Robert Ryan. Said Robert: “His wife was Ruth Fleischer who died in, I think, 2005, and was pre-deceased by her husband by some years. She was, I think, a teacher. She was connected to Elizabeth Burnett and the late Bobby Harrison, well known CND campaigners. “A couple of the German POWs worked for my grandfather, Joseph Ryan, in his landscaping and haulage business. I know through a third party that the descendants of one man who worked for him visited Helensburgh a few years ago with documentation looking for the business, which was, of course, long gone. The images in this article, except for the boat in the bottle, were supplied by Mrs Karin Grant, whose father, Ulrich Behrendt, was a prisoner at the Blairvadach Camp and stayed in Scotland after the war.